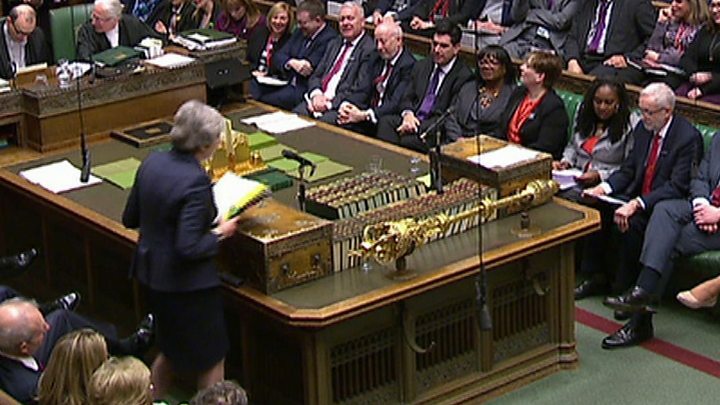 Jeremy Corbyn threw the prime minister a Brexit curveball at this session. Most observers were expecting the PM to get a grilling over reported comments by her chief Brexit adviser Olly Robbins – but the Labour leader went after Transport Secretary Chris Grayling instead. He focused all six of his questions on the “fiasco” of the Seaborne Freight contract. The ferry company with “no ships and no trading history” has had its contract to provide services in the event of a no-deal Brexit cancelled. Mr Corbyn said this was symbolic of the government’s “costly, shambolic and evasive” handling of Brexit. “What went wrong?,” he asked the prime minister. PM says there was “due diligence” over its ferry plan, but Jeremy Corbyn is “impressed” she can “keep a straight face”. Mrs May said 90% of the ferry contracts awarded in case of a no-deal Brexit scenario, went to DFDS and Brittany Ferries. “Due diligence was carried out on all of these contracts,” she told the Labour leader. The transport secretary had told MPs the decision to award a contract to Seaborne Freight “had no cost to the taxpayer”, said Mr Corbyn, but the National Audit Office found that £800,000 had been spent on external consultants to assess the bid. Could the prime minister “correct the record”? Mrs May said Mr Corbyn was “late to the party” because she had been asked about this yesterday by the SNP. “Labour following the SNP, well whatever next,” sniped the PM before repeating her line about “proper due diligence”. Mr Corbyn said Freedom of Information requests showed Chris Grayling had “bypassed” the rules which allow normal scrutiny of a deal. Mrs May said the Seaborne Freight contract had been handed out following individual assessments by consultants, and no money had been paid to Seaborne Freight. It was “entirely right and proper” to make sure that the government was preparing for any no-deal Brexit, she added. Jeremy Corbyn: "I'm really impressed that the prime minister can keep a straight face while she said due diligence was carried out"
Mr Corbyn said taxpayers were facing a £1m legal bill for contesting Eurotunnel’s court case against the government over its “secretive and flawed” no-deal transport contracts process. Not only that, he told MPs, Thanet Council, in Kent, was facing a £2m budget deficit as a result of the Seaborne Freight debacle. Could the PM offer “cast iron guarantees” that the people of Thanet would not be hit with this bill? Mrs May said Department of Transport officials were “in discussions” with Thanet council. The ferry contracts were about safeguarding medical supplies in the event of a no-deal Brexit, she added. Mr Corbyn said the prime minister should follow the advice of the House and take no deal off the table and “negotiate seriously with the EU”. He broadened out his attack on Chris Grayling, for “ignoring warnings” about drones at airports, ignoring warnings about the collapse of outsourcing giant Carillion, overseeing the “disastrous” new rail time tables, and rail fare increases. And now, said Mr Corbyn, Mr Grayling was in charge of a “vital aspect of Brexit planning”. “How on earth” could the prime minister have any confidence in him? Jeremy Corbyn: "How on earth can the prime minister say she has confidence in the transport secretary?" Mrs May replied that rail investment was at its highest since the Victorian era and that was 20% higher every year on average than under Labour. She had clearly come armed with attack lines for Mr Corbyn over his Brexit strategy, so she unloaded them all as their exchange came to an end, accusing the Labour leader of “ambiguity” and “playing politics” and of failing to say whether he wanted Brexit, or a second referendum. People no longer say he is a “conviction politician”, she concluded. The SNP’s leader at Westminster Ian Blackford said that with 44 days to go until Brexit, Mrs May must stop “playing fast and loose” with the economy. Conservative backbencher Henry Smith gave the prime minister a chance to rebut the reported comments by Olly Robbins, who was overheard in a Brussels bar saying the EU was likely to allow an extension to the Brexit process. Conservative MP George Freeman, a former adviser to Mrs May, asked whether those who had brought the system into disrepute “like Philip Green” should be stripped of their honour. Mrs May says there was an independent forfeiture committee. 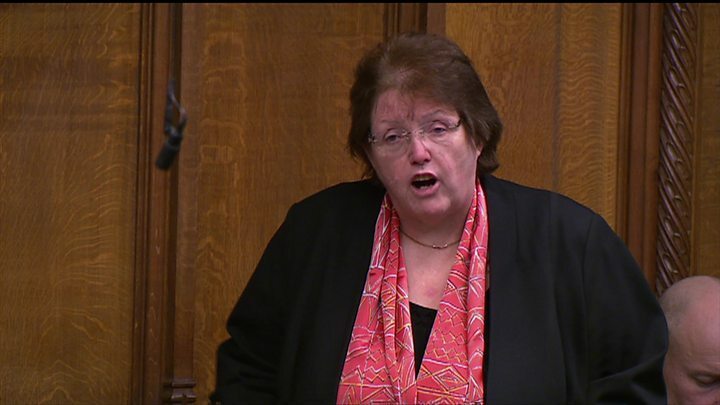 Theresa May: "Anybody who's been in receipt of an honour that brings that honour into disrepute can be reviewed"
Labour MP Rosie Cooper asked Theresa May about a Conservative election promise to keep the provision for those 75 and older. Stop and search, when carried out the right way, is an “effective tool for our police forces”, Theresa May told Conservative MP Gareth Thomas, adding that officers must these powers “lawfully”. 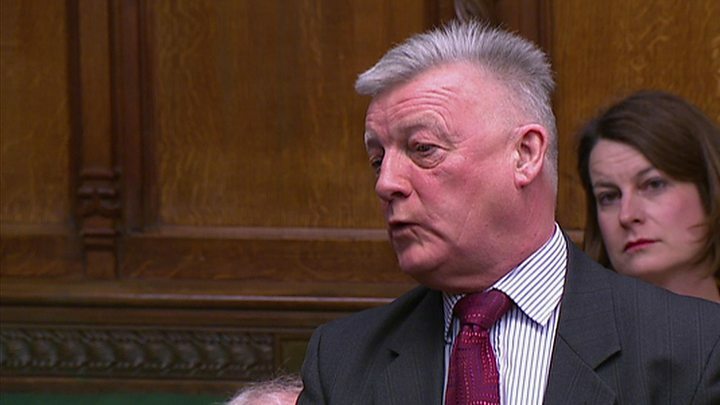 Labour’s Steve McCabe reminded the PM of her call to end rip-off energy prices, telling her 2.5 million people were now in fuel poverty. 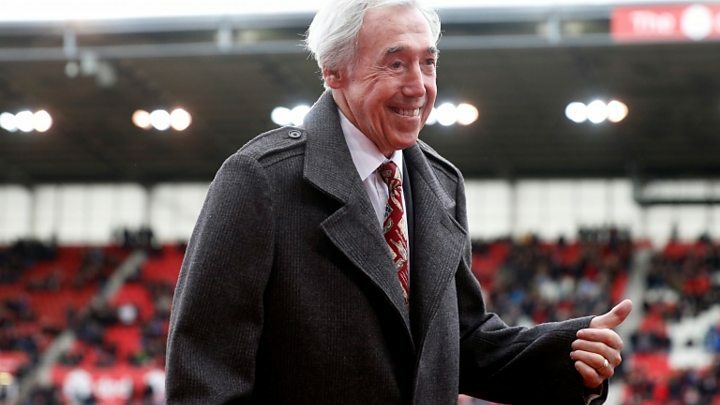 And finally, Jeremy Corbyn and Theresa May shared their memories of England’s victory in the 1966 World Cup final, as they paid tribute to legendary goalkeeper Gordon Banks, who died this week. Both the main players at PMQs had one of their better days, proving, I suppose, that it’s not a zero-sum game, where one of them must do badly for the other to do well. Jeremy Corbyn continued Labour’s recent targetting of the Transport Secretary, Chris Grayling, with a series of detailed questions about the Seabourne Ferries saga. 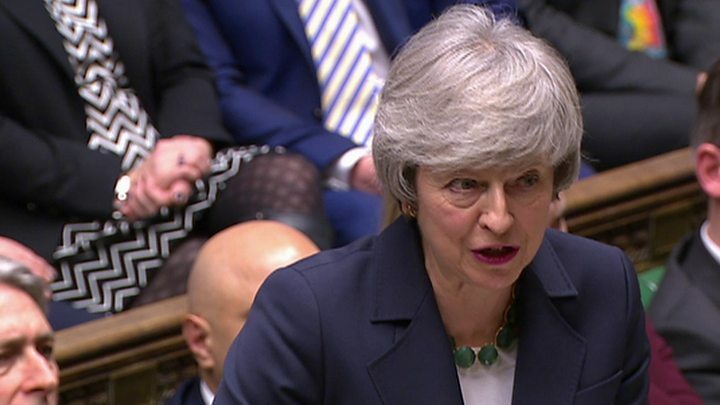 It was an old school piece of PMQs questioning, building up an attack over a series of questions, which saw the PM digging into her file for the pre-scripted answers. She, in turn, was at her most effective when she counter-attacked on Labour’s policy ambiguity over Brexit, with a particularly wounding line that Jeremy Corbyn was losing his reputation as a conviction politician. It was also notable that the Conservative benches were rather muted during the attacks on their transport secretary. Perhaps the accumulated weight of the railway timetables saga, the Gatwick drones and even his policies as justice secretary have depressed backbench support? So maybe the attack was a tactical success for Mr Corbyn, but was it also a strategic missed opportunity? Brexiteer Tories rather tiptoed around the reported remarks of the PM’s Brexit advisor, Olly Robbins, overheard in a Brussels bar. But the twin suggestions attributed to him, of a postponement of Brexit day and of the Northern Ireland backstop being a “bridge” to a post-Brexit customs union with the EU, cause them deep alarm. Mr Corbyn did not seek to deepen it further, even though it would have been quite easy to segue from Grayling to Robbins, and it was left to the SNP’s Ian Blackford and later the Conservative Henry Smith, to target the alleged bar-room indiscretion. The PM’s elegant prepared response: “What someone said to someone else, overheard by someone else…in a bar” was eventually deployed in answer to Mr Smith, but was probably drafted with Mr Corbyn in mind. The other big PMQs player, John Bercow, had a quiet time. His rebukes were genial, even jovial, and no-one was bruised by them. 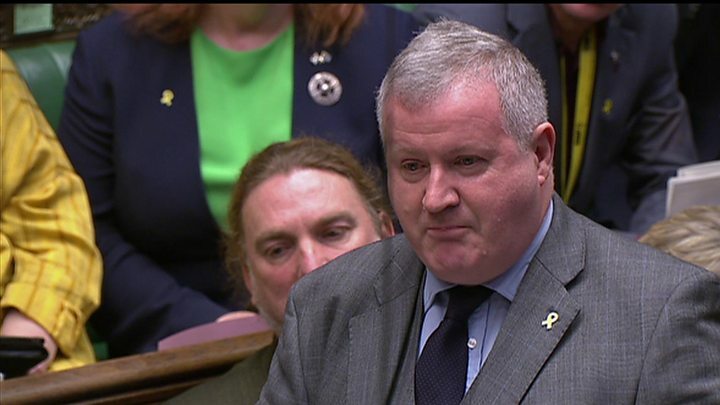 He even indulged a few spurious points of order at the end, although I’m not sure how grateful Ian Blackford will have been for his colleague Mharie Black’s complaint that when her leader rose to ask his question, lots of MPs immediately got up and left the Chamber. Elsewhere, there were interesting responses to well placed questions from Tories Robert Halfon (on school exclusions) and George Freeman (Sir Philip Greene’s knighthood) and to Labour’s Chris Evans (on suicide and self harm images on social media) with the PM keen to demonstrate that her government is not so fixated on Brexit that it can’t deal with other issues.